Worldwide shipments of personal computers came back strongly in the fourth quarter of 2009, researchers said Wednesday, led by U.S. consumers lured by low prices during the holiday shopping season. 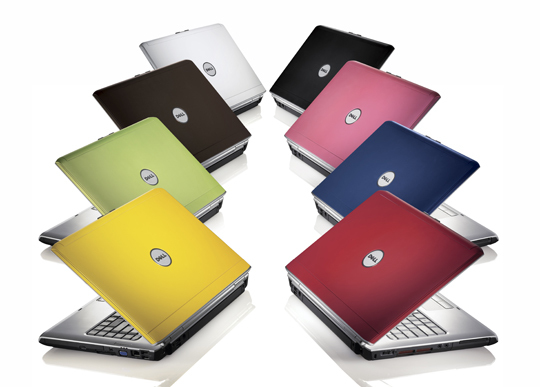 Analysts at IDC said worldwide PC shipments climbed 15.2 percent from the prior year. In the U.S., PC shipments rose a whopping 24 percent. That’s much better than expected. IDC, a technology market research group, had predicted global shipments would rise about 11 percent, and just 6 percent in the U.S. The holiday period of 2008 and the first half of 2009 marked the industry’s worst stretch in several years. But then consumers’ interest in “netbooks” — tiny, inexpensive, low-powered laptops — and other cheap portable computers helped drive a turnaround, beginning with a tiny increase in shipments during the third quarter of 2009. Consumers were again responsible for growth in the fourth quarter. Netbooks made up about 20 percent of consumer laptops shipped in the quarter, and computer makers cut prices for regular laptops even further and increased their marketing efforts, said David Daoud, an IDC analyst. At the same time, U.S. shoppers started feeling better about the economy, a shift in sentiment Daoud wasn’t expecting so soon. Gartner Inc., a research group, estimated global PC shipment growth at 22.1 percent and U.S. growth at 26.5 percent. Gartner and IDC use slightly different methods to calculate shipments. PC makers with bigger consumer-focused businesses did better in the quarter than companies that primarily sell to corporations. Hewlett-Packard Co. remained the biggest computer maker in the world, followed by Taiwan’s Acer Inc. Both companies’ shipments grew in double digits in the U.S. and around the world. Dell Inc., the No. 3 computer maker in the world, saw PC shipments rise more than 5 percent both in the U.S. and worldwide. Dell didn’t slash prices as deeply as competitors did, to protect its profits. And Dell’s major customers are businesses, which for the most part have not resumed spending on technology since the recession ended, according to IDC. China’s Lenovo Group Ltd. and Japan’s Toshiba Corp. are the No. 4 and No. 5 PC makers in the world. In the U.S., Dell is No. 2, followed by Acer, Toshiba and Apple Inc. For all of 2009, IDC said worldwide PC shipments rose a total of 2.3 percent. In the U.S., the growth was 6.5 percent.